The OFC Social Responsibility programme Just Play Sport 2 Life will be launching in Vanuatu for the first time this month. The Just Play Sport 2 Life is aimed at youth aged 13-16 years old, and follows on from the Grassroots OFC Just Play programme for 6- to 12-year-olds, and although it has been piloted in other OFC Member Associations is launching for the first time in Vanuatu. 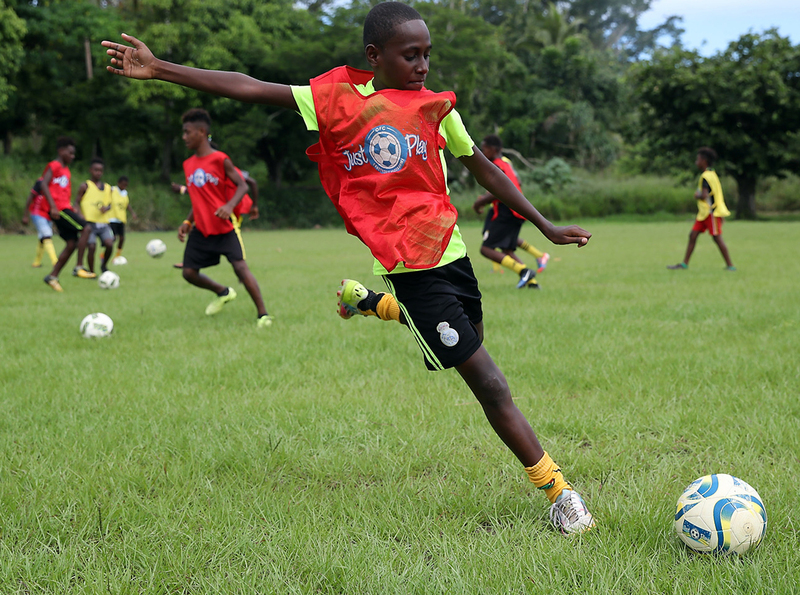 To help get the new programme underway, the Vanuatu Football Federation (VFF) Just Play team is organising a workshop on the 13-17 March to introduce its members to the new curriculum. As well as providing information on Sport 2 Life, the attendees will be briefed on the targets and plan for 2018. Building and strengthening the capacity of Vanuatu’s Just Play coordinators will also be a priority, covering the new curriculum, the existing Just Play Grassroots programme and programme management. There will be 17 participants in attendance at the workshop – six coordinators, six assistant coordinators, two administration officers and three co-facilitators alongside the Just Play Project Manager, Just Play local instructor and Just Play trainers. The OFC Just Play Programme in Vanuatu is supported by the New Zealand Government and UNICEF as well as the Australian Government, Football Federation Australia and the UEFA Foundation for Children. VFF also has the support of the Ministry of Education for the programme in Vanuatu.